Our pets get older and, like us, they need a series of special care. 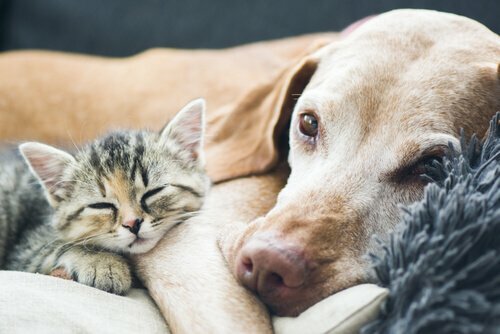 In this article we are going to shed some of the most important tips so that older dogs and cats maintain a good quality of life. Evidently, depends on each animal and its race . In general, a medium-sized dog reaches its senescence at 8-9 years; in the case of large breed dogs, it happens before. Cats tend to be more long-lived, and they reach old age at 8 years and live around 16 years. When they reach this stage, we must bear in mind that their daily needs they will change. As owners, we must pay special attention to our dogs and older cats, and follow a series of tips to facilitate their day to day. 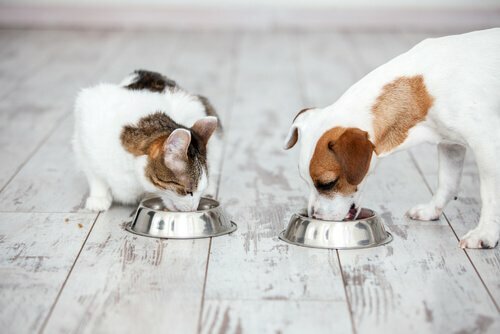 Choosing quality food is essential to keep our pets healthy. In the case of older dogs and cats, this requirement is even more important. Older age can bring with it digestive or other disorders. Therefore, whether we choose a commercial or homemade diet, we must make sure it is easy to digest and that it contains the necessary complements that may need to that age : antioxidants, agents that strengthen your joints and bones, etc. If your veterinarian considers it, you can supplement the diet with nutritional supplements that help your health. mascot. To make day-to-day life more bearable, it is advisable to follow some basic guidelines. For example, if there are pets of different ages in your house, separating the food and teaching them to respect what is not theirs is important. Applying special daily care will also help them. E It is advisable to adapt walks and daily activities , so that they stay active but do not make too much effort. Providing a good rest is a good practice, and there are different beds or places of rest adapted to your age. In the case of cats, a daily brushing will help the hair change, in addition to comfort. Do not forget that signs of affection for our pets are necessary. Going with our dogs and older cats to the veterinary professional is essential. As they get older, the frequency with which we go should increase. Periodic reviews help us know that everything is working properly and, in addition, can prevent age-related diseases or disorders. Your veterinarian can help you with diet, daily exercise guidelines and other care. Our pets accompany us throughout their lives, so they deserve to live healthy and happy.